Amos was the youngest of twelve children born to Amos and Estella Cobb on June 5, 1943 in Robeson County North Carolina. 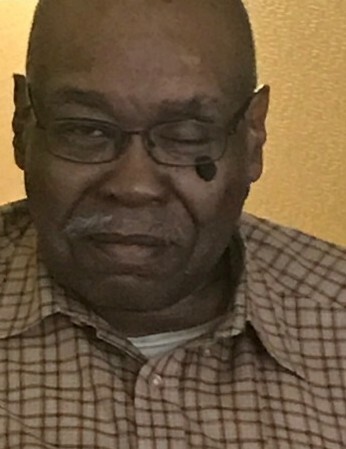 He passed away on Wednesday, April 10 in Chicago, IL. He was 75 years old. As a Chicago Illinois resident for more than fifty years, he was employed with various companies as a laborer. Although he worked as a longshoreman and numerous construction jobs, one of his latest employers and the one that he always talked about was Diesel Construction who erected the Sears Tower, a prominent fixture on the Chicago Skyline and a center piece of the view from his sixth floor apartment window. He really got a kick out of telling people that he worked on the construction of Sears Tower. Amos is survived by siblings, Betty Patterson of Jersey City, NJ, John C. Cobb, also of Jersey City and Elizabeth Lide of Raeford, NC along with a niece and nephew who were raised with him as siblings; Mary McCutchen of Red Springs, NC and Roosevelt Cobb of Elkhart, IN. A number of other nieces, nephews and family members also survive him.